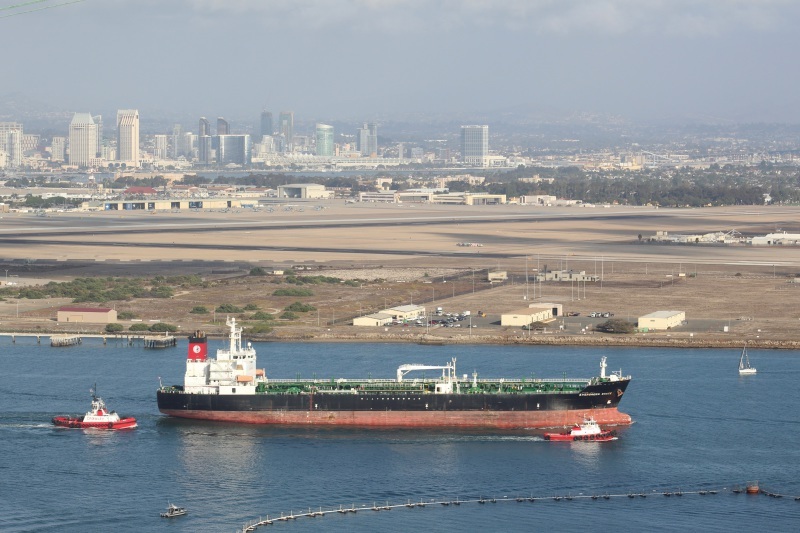 Getting underway from the Navy Fuel Pier at Point Loma departing San Diego Bay. Crowley tugs Scout (astern) and Tioga (starboard bow) assisting. This photo has been shown 1,802 times since it was added to the site.